Are you interested in how one startup was able to get 16,000 visits to their website on the day of launch? 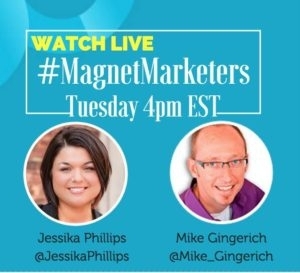 Want to hear the plan for partners, founders, and teaser videos that were used? You’re in the right place! Let’s talk about “Launching” and give you some really successful examples! 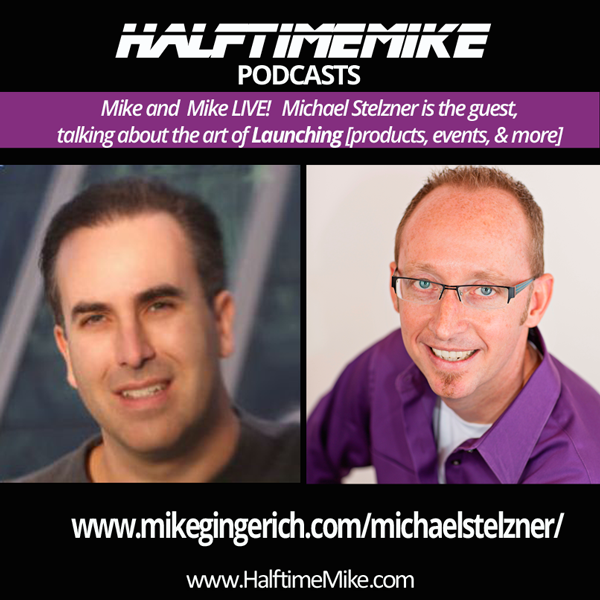 I was thrilled to recently host Michael Stelzner on the Halftime Mike podcast! 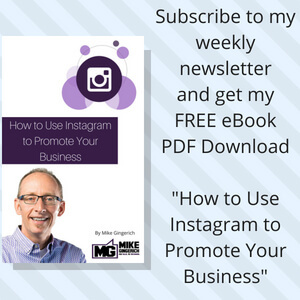 Mike is founder and CEO of Social Media Examiner, the world’s largest online social media magazine. 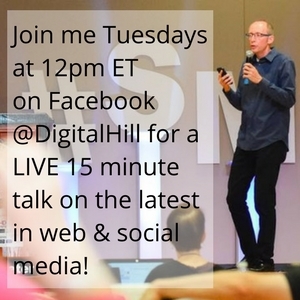 He is author of the books Launch and Writing White Papers and the man behind large events, such as Social Media Marketing World (held in San Diego and a topic we’ll cover today) and Social Media Success Summit, the world’s largest online conference. If that’s not enough, he is also host of the Social Media Marketing podcast show, which is a iTunes Top 10 marketing podcast. This interview was about “launching”. Launching a business, product, or event and the keys to a successful launch. 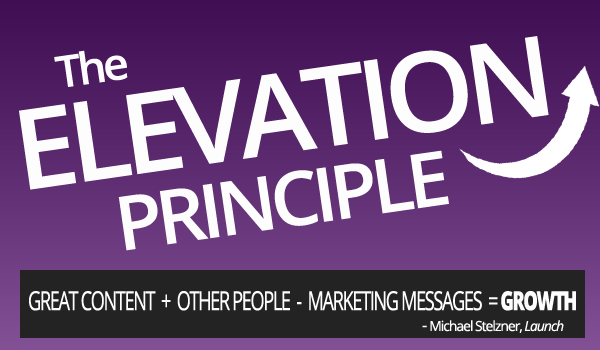 Listen in for keys on the “Elevation Principle” that was foundational to the launch of Social Media Examiner! Listen to all Halftime Mike Podcast episodes! Subscribe via iTunes: Halftime Mike on iTunes | Android users via RSS | Listen on Stitcher. Content can be: Blog posts, “how to” posts, interviews, reviews, reports, etc. Content can be videos in a blog post, or podcast episodes (like this) in a blog post. Other people: Having some superstars helps as it attracts some viewers, but the key is volume of content which is best handled by having many authors. This type of content is found by those searching via search engines and your goal should be to make it easily and readily shareable. Social Shares are CRITICAL. Suggest that others share it! 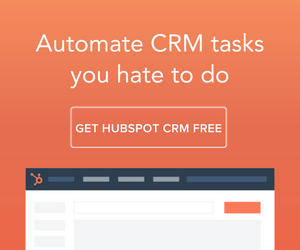 Marketing Messages and direct “sells” need to be eliminated. (This is the new media key. Old school style is direct sales. This kills loyalty today). Start with “Teasers” – Mike used the code word “Project Torch” early on in sharing and it picqued interest with the mystery as to what it was! Outline the Problem – He then continued the mystique but gave a bit of information by creating a video that outlined the problem, this was before much of the work of forming the project was done. Recruit Partners that can help. From there they began to recruit interested persons and invited people to join a “founders lists” that gave them insider information and updates. It created buzz and excitement that this founders list was ready to share the day of launch, contributing to a massive first day that saw 16,000 people visit the site! If you enjoyed this episode of the Social Media Marketing podcast, please “go over to iTunes, leave a rating, write a review and subscribe. Are you attending Mike’s mega Social Media Marketing Conference in 2014? It’s the biggest and the best! I’ve been there and am headed back for sure. Social Media Marketing World 2014 brings together the best experts and speakers across social media and digital marketing, and then combines that with tremendous and strategic networking and shoulder-rubbing opportunities that are precisely implemented to help attendees take relationships from social to IRL (in real life). Save the Dates: March 26, 27 and 28, and get registered now to be present in sunny San Diego, California! The conference features more than 60 sessions in 4 major tracks, which include social tactics, social strategy, community management and content marketing. People are coming from all over the world. In 2013 people came from more than 31 countries. Here’s a sample of “video as content” with Mike Stelzner. Video is a great tool for use in launch as it communicates so well from a personal and emotional connection standpoint! Remember that a launch is not an event. It culminates in an event but starts so much earlier and is built upon a strategy of relational connections, market testing, creating excitement, and enlisting others to join in sharing! I hope you enjoyed this podcast! Michael Stelzner launched Social Media Examiner in October 2009 from his Southern California office. He had zero previous experience with social media. 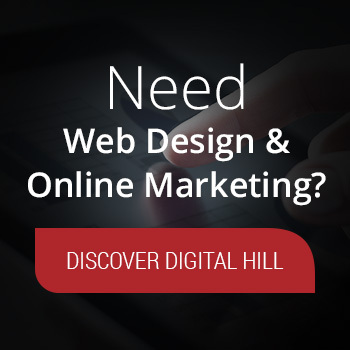 Start-up costs: $4,000 for design and website development. 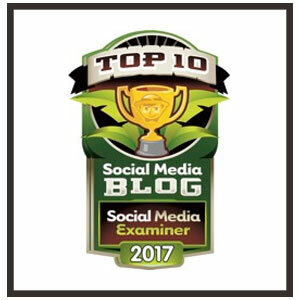 Within two weeks of its launch, Social Media Examiner joined the ranks of Technorati’s Top 100 Small Business Blogs and remains in the Top 10. 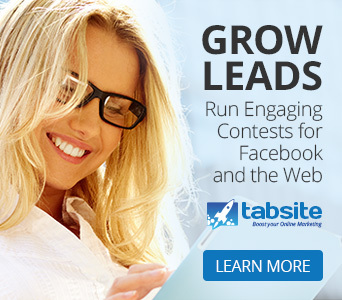 200,000+ email subscribers receive Social Media Examiner updates 6 days a week. Advertising Age ranks Social Media Examiner among the Top 5 marketing blogs. Social Media Examiner is commercial-free and does not display advertising. 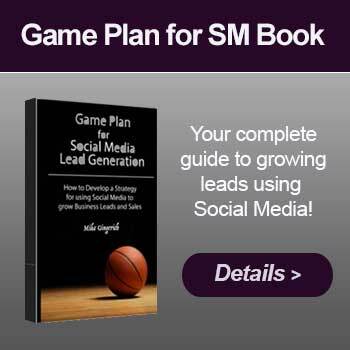 Publishes annual Social Media Marketing Industry Report (a statistical guide showing how marketers use social media marketing). 100% free; no registration required. Operates on the “Elevation Principle” business model: Give away digestible how-to content that creates a loyal, well-fed business community. Revenue driver: online professional development conferences. Sales to date from summits exceed $3M. Social Media Success Summits began in 2009; attracting sellout crowds in 2010 and again in 2011. SME now produces three annual online conferences: Social Media Success Summit, Facebook Success Summit, and Blogging Success Summit. 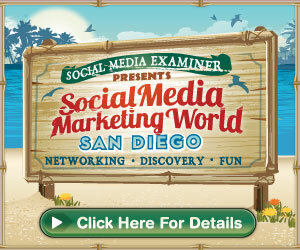 2013 was the initial launch of the first physical conference, Social Media Marketing World, in San Diego, California. June 2011, Mike shares the nuts and bolts of the “Elevation Principle” in his second book, published by Wiley. Launch: How to Quickly Propel Your Business Beyond the Competition shows how any business in any niche (gardening, yoga, electricians, cancer survivors, etc.) can become the next Social Media Examiner. I’m a Indiana Hoosier native where basketball is the top sport. Every team heads to the locker room at halftime to evaluate the first half and create a updated plan for the second half. That plan includes adjustments based on reviewing what worked and what didn’t. The “halftime” is a key review point where the game stops, the team pulls away to huddle in the locker room away from the fans, and they come out prepared and ready to succeed in the second half. That’s what this podcast is all about, taking the time to pull away for bit to evaluate, learn, and set some strategies for your business to succeed in the second half. Join me by subscribing and let me be your “business halftime” to help you find great success going forward! COMMENTS OR QUESTIONS ON LAUNCHING? Let Mike and I know below! !